← Decorate your own T-Shirts! 1. 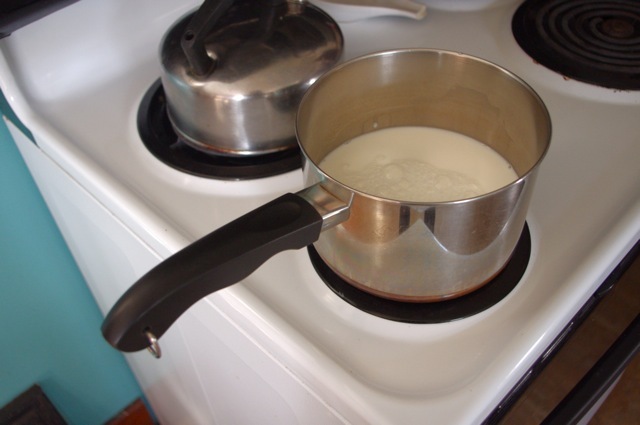 Heat one quart of milk to 180 degrees or bring to the boiling point, to kill any pathogens that could be in the milk. Then cool the milk to 73-77 degrees. I like to use whole milk for added creaminess, but skim or any milk will work. 2. Dissolve 5 grams of culture in a small amount of cooled milk in a cup. When well combined, pour into the remaining milk and mix well. 3. Pour the inoculated milk into a clean container, cover, and let stand at room temperature until curd forms (about 24 hours). 4. Refridgerate about 8 hours to stop the process. 5. Stir to liquefy and enjoy. You can sweeten it or add fruit purees for additional flavors. I especially love to mix it with my mom’s Black Raspberry Syrup! Always store prepared Kefir in the refrigerator. 6. Once you’ve started making your own, you can use a portion of the last batch to culture the next instead of using the starter each time. 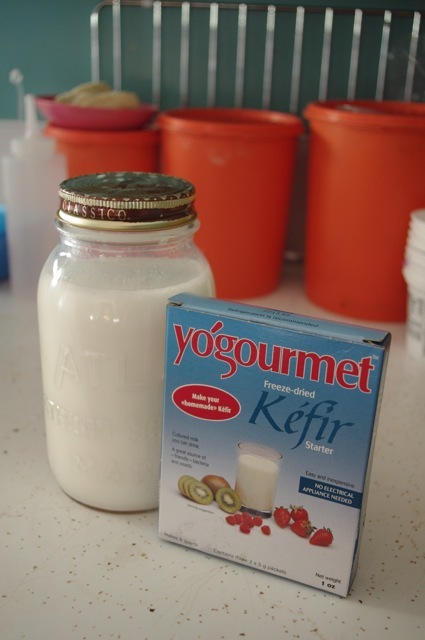 I would try using 1 cup of cultured Kefir.